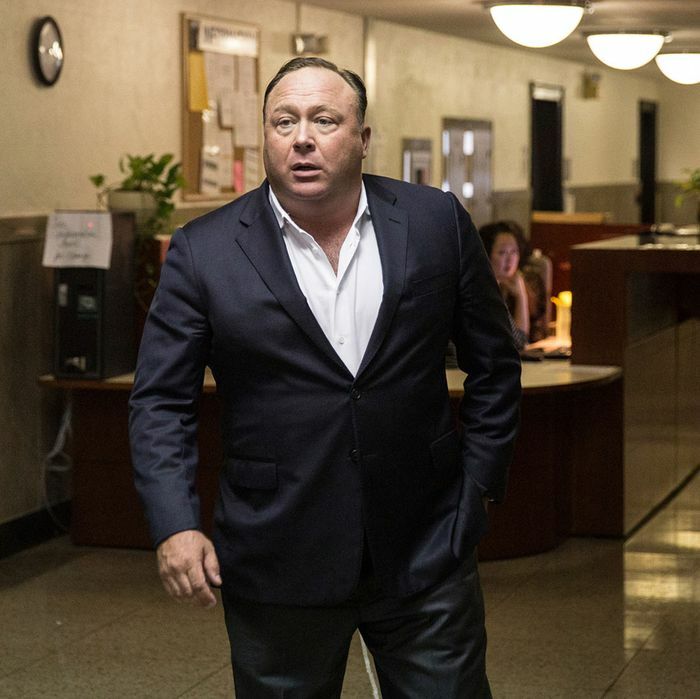 It’s not enough that Alex Jones has accused the parents of Noah Pozner, a 6-year-old killed at Sandy Hook Elementary School in 2012, of being actors. It’s not enough that he’s exposed them to death threats and harassment that has led them to move homes seven times. And it’s not enough that he’s made tons of money in the process. Now the founder of Infowars is asking a Texas judge to throw out a defamation suit filed by Pozner’s parents and trying to get the family to pay more than $100,000 for his court costs. In 2016 the danger of Jones’s words became more tangible when one of his acolytes was arrested for threatening the lives of the Pozner parents. Lucy Richards of Florida had become so convinced that the shooting was a “false flag” that she sent threats to Lenny Pozner that said “you gonna die, death is coming to you real soon” and “LOOK BEHIND YOU IT IS DEATH.” According to court documents, as a condition of her parole, Richards was ordered to never again watch, read, or listen to content from Infowars.